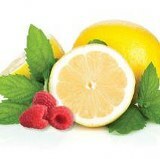 The Lemon Raspberry Shake bottle is a delicious combination of lemon and raspberry flavors. Just add water to the fill line and shake. Ready to travel with you!